[S1128] Juanita Day, "Working On It," database made available on-line courtesy of Juanita Day, http://wc.rootsweb.ancestry.com/cgi-bin/igm.cgi?op=GET&db=:3108803&id=I0506, database put on-line 17 July 2005. 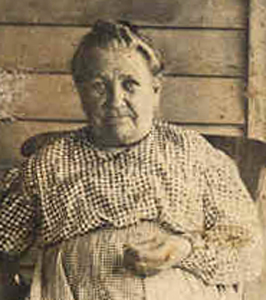 [S1130] Joyce (surname not known), "Carolina Kinfolk," database made available on-line courtesy of Joyce (surname not known), http://wc.rootsweb.ancestry.com/cgi-bin/igm.cgi?op=GET&db=carolinakin&id=I25945, database put on-line 30 December 2009. [S8] 1860 (June 1) U.S. Census, Gallands Grove, Shelby Co., IA, p. 17. [S1131] Roger Petersen, "Ball Marriage Records email 01," e-mail message from Roger Petersen to David G. Ball, 30 April 2010. [S7] 1850 (June 1) U.S. Census, Centre, Howard Co., IN, p. 913 (stamped 457). [S9] 1870 (June 1) U.S. Census, Chetopa, Wilson Co., KS, p. 14 (back of stamped 386). [S12] 1900 (June 1) U.S. Census, Precinct 11, Gunnison Co., CO, ED 138, Sheet 1B (back of stamped 96). [S1129] Wendy Bower, "Bower & Hays Family Tree," database made available on-line courtesy of Wendy Bower, http://wc.rootsweb.ancestry.com/cgi-bin/igm.cgi?op=GET&db=wendydoug&id=I03436, database put on-line 11 September 2008. [S10] 1880 (June 1) U.S. Census, Chetopa, Wilson Co., KS, ED 177, p. 7 (stamped 14). [S8] 1860 (June 1) U.S. Census, Gallands Grove, Shelby Co., IA, p. 14. [S903] Find A Grave - A User-Contributed Listing of Cemeteries and Memorials; Find A Grave Founder Jim Tipton, 2009; online at http://www.findagrave.com/cgi-bin/fg.cgi?page=gs&, Ohio City Cemetery, Ohio, Gunnison Co., CO.
[S7] 1850 (June 1) U.S. Census, Harrison, Howard Co., IN, p. 844 (back of stamped 422). [S8] 1860 (June 1) U.S. Census, Boyer, Harrison Co., IA, p. 91. John W. Ball was born circa 1839 at OH.2 He was the son of Lucius Ball and Susan Hickman.1 John W. Ball died before 1858. Photo courtesy of Linda Brown. [S2070] Linda Brown, "John Ball - email 01," e-mail message from Linda Brown to David G. Ball, 15 August 2013. [S903] Find A Grave - A User-Contributed Listing of Cemeteries and Memorials; Find A Grave Founder Jim Tipton, 2009; online at http://www.findagrave.com/cgi-bin/fg.cgi?page=gs&, Fairview Cemetery, Council Bluffs, Pottawattamie Co., IA. [S9] 1870 (June 1) U.S. Census, Boomer, Pottawattamie Co., IA, p. 6 (back of stamped 3). [S10] 1880 (June 1) U.S. Census, Neola, Pottawattamie Co., IA, ED 184, p. 10 (back of stamped 86). [S13] 1910 (April 15) U.S. Census, Kane, Council Bluffs, Pottawattamie Co., IA, ED 133, Sheet 13A (stamped 86). [S7] 1850 (June 1) U.S. Census, Jackson, Pickaway Co., OH, p. 236 (back of stamped 123). [S8] 1860 (June 1) U.S. Census, Center, Decatur Co., IA, p. 156. [S7] 1850 (June 1) U.S. Census, Centre, Howard Co., IN, p. 914 (back of stamped 457). [S10] 1880 (June 1) U.S. Census, Chetopa, Wilson Co., KS, ED 177, p. 6 (back of stamped 13). [S12] 1900 (June 1) U.S. Census, Newark, Wilson Co., KS, ED 172, Sheet 6B (back of stamped 131). [S12] 1900 (June 1) U.S. Census, Cedar, Wilson Co., KS, ED 160, Sheet 2A (stamped 2).